The sessions for the 2019 Counter Speech Fellowship in Kathmandu will take place at a central location in the city (venue to be decided). Except the first and the last day, all other sessions will be scheduled from 10 AM – 1:30 PM. Outside the sessions, fellows will be expected to create content on the themes allocated to them. This work will be done in teams through remote collaboration during the intervening weeks. In Kathmandu, the Counter Speech Fellowship will be supported by photo.circle. Established in 2007, photo.circle is a platform for photography that uses workshops, publications, exhibitions and commissioned assignment work to bring together photographers and other visual storytellers to nurture unique voices that document and engage with social change in Nepal. In 2011, photo.circle set up the Nepal Picture Library, a digital photo archive to contribute to the study of Nepali photography, generate knowledge and explore issues of memory, identity, and history through images. 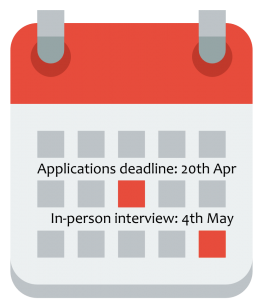 Round I: Interested candidates are required to fill in a descriptive online application form before the deadline of 20th April (Saturday). Round II: Shortlisted candidates are called for interviews. This is an informal interaction but conducted in-person. Interviews for shortlisted students will be conducted on 4th May (Saturday) at a central location in Kathmandu. Final selections will be announced soon after.